A lot of people were asking for a way to collect words they want to especially learn, you now can with the latest version of the extension. It should go live in about 30 minutes after Google has approved the update (0.9997). You can listen to the character by clicking on it. If simplified is turned on it will be in a standard Mandarin accent if traditional is turned on then it will be a Taiwanese accent. I have been enjoying your extension. Thanks for this. Also, I like the Chinese New Year thing you added. thanks! I just realised I messed up the colours of it before launch; I have fixed it now. It should be readable when Google updates! Could you check for me that the word basket and meanings are still working I found a bug on my laptop, I'm not sure if it affects all computers! The word basket is working for me. I'm not have any issues so far. Edit: (6:55pm EST) ah, it seems that the meanings aren't showing up. 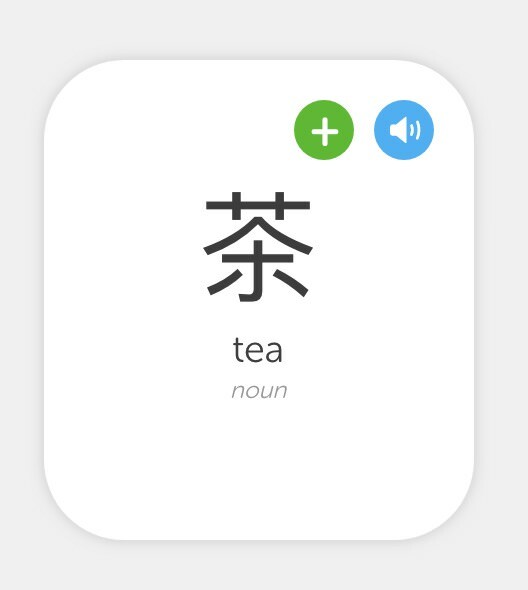 But the characters, pinyin, and audio are working. damn! which version do you have? I uploaded a fix 0.9997.1 that is live that SHOULD fix it it...hopefully. No prob! Okay, I just updated it to 0.9997.1 but I'm still experiencing the same issue. I forced update extensions and restarted my browser. Edit #2: I added a character from earlier in the tree and that shows up properly in the word basket! you're a gem! thanks for the feedback!. I gave you 3 lingots. Thanks man! You're the best. It makes me really happy to hear that this is really helping people! That's cool, I've just started on Duolingo and this extension is very helpful. How do you make these changes so quickly?! Duolingo devs will be paying attention to your improvements.. I have the luxury of not having to go through the normal bureaucracy that I do at work, like waiting for a sprint (an agreed set of changes) to be finished by the developers working under me before something goes live. Thanks for doing this. 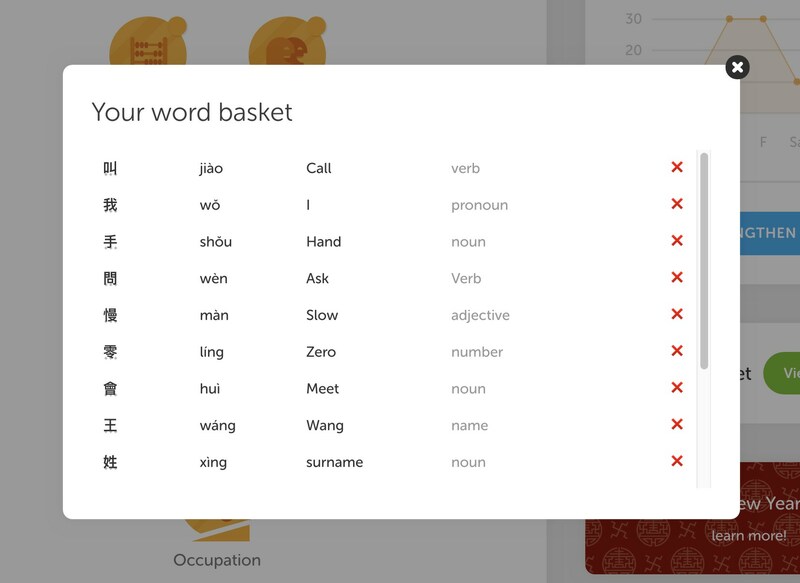 I have not added it though..I'm wondering if I should install the plugins (turtle back and word basket) now or wait until the Chinese course is out of beta. How long will the course be in beta? It is already out of beta apparently. Oh! Well, look at that. Then I will be adding your plugins then. It is the second time I try this app after months and I am sad to report it still doesn't completely work for me. 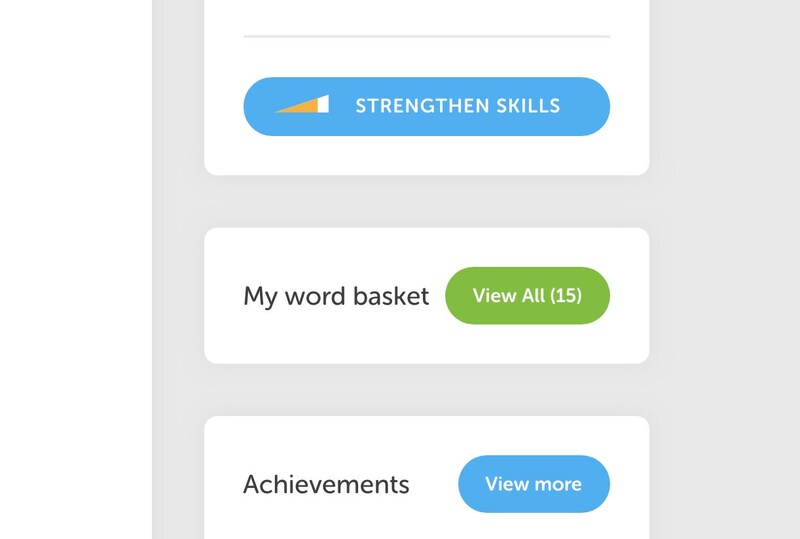 I have the traditional character option , the "turtle button" and the definitions of the words (which are not always correct) but the word busket button and the strenghthen skills button do not appear at my homepage. The add-on hasn't been updated since February, which was before duolingo's introduction of crown-levels. I think that broke some features (access to word basked, switching to traditional characters in multiple choice questions or each skill's 'tips and notes' page). You can try to contact the developer via his email you can find on the add-on's store page and ask him if he's willing to update it.